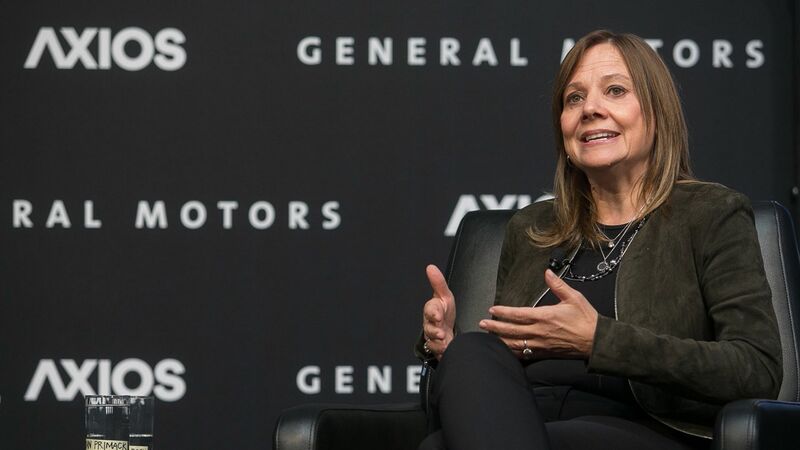 Speaking at an Axios event on Friday, General Motors CEO Mary Barra said Tesla was among the "capable" electric vehicle competitors as GM expands its presence in the market by ramping up its commitment to electric cars beyond the Chevrolet Bolt. "[Tesla has] very capable electric vehicles. When we look at the landscape of competition from a car company perspective, whether it's Tesla or whether it's some of the global [equipment manufacturers], there's very capable competition and that's what kind of drives us. That's why we've been so aggressive on investing in technology and moving quickly." Go deeper: Exclusive poll: Electric cars show growth potential despite doubts.